Surety Bonds: You can consider using surety bonds for your business’ needs. In many cases, you might have to get one if you are going to operate within certain parameters. The good news is that it is easy for you to find surety bonds that your business can operate with. Your surety bond is important for your operations. You need a surety bond to confirm your ability to work within legal standards and requirements. This includes showing that you can remain financially protected depending on whatever might come about in your work. Surety bonds are critical for businesses in that they help those entities to operate accordingly. A financial guarantee is provided to the obligee, in particular, the government or another entity. Your business would be the principal, the group that is required to post bond. The obligee is the entity that will require the principal to be bonded. This may be the government or another authoritative body depending on your industry. The surety will provide a financial guarantee to the obligee on behalf of the principal. The goal is to ensure that you are guaranteed to stay operational and that you will not engage in issues like late payment problems, fraud, or other financial problems that might influence how your business operates. More importantly, you are confirming through the bond that you will be able to fulfill all the obligations that you need to work with. You might have various obligations relating to what you plan on doing for your business among other factors. You must show that it will be easier for you to keep your business operations with an appropriate bond that covers whatever you plan on doing with your business. There is often a concern that you will need a surety bond if you are going to operate your business. A surety bond can be a requirement for anyone who wants to be licensed. It is a part of why so many places call surety bonds license and permit bonds. Some of these particular bonds include ones designed with very specific types of groups and entities in mind. These include such options as mortgage bonds, collection bonds, motor vehicle dealer bonds, and even ones for private investigators. One of the best examples of a surety bond is an auto dealer bond. The bond is required by every state for car dealers to operate. A bond would require people to afford to cover many expenses involved surrounding the ways how a business operates and what makes the effort so useful. Surety bonds will vary based on what you are looking for in particular. You can find state bonds that will cover your operations in your state. You would need one of these bonds if you’re going to operate in a particular state and you need to confirm with others your ability to handle payments and functions. Some of these bonds, like what bondsexpress.com has to offer, are pre-approved ones although those work for smaller values and might not be enough to support your business depending on what you are working with. Common bonds are also important to note. These bonds may be noticed in the operations process and can include many types like auctioneer, court, dishonesty, liquor, and probate bonds. Such bonds would require extensive standards and rules for taking them out, although the rules involved can vary based on what you choose to utilize. Check on the terms that you will work with when finding something that you can trust. Although it can be easy to find surety bonds through groups like bondsexpress.com, you must be cautious with what you are planning for your business. You must avoid filing any claims with your bond. You would have to pay the surety back to the obligee if a violation of your bond is ever found. The expenses could be dramatic depending on the issues that come along, but your surety bond will help you to keep the expenses involved from being too significant or otherwise hard for you to cover. Although the concepts of a surety bond make it sound like insurance, that does not necessarily mean a bond is an actual form of insurance. The surety bond is essentially insurance for the public. You can confirm that you will pay for the functions that people are to utilize. You are essentially doing business with the government or whoever else the obligee might be. Your effort with the insurance at your workplace is important for ensuring that you can show a sense of control over what you’re getting out of your business and that you can show yourself as being trustworthy. Surety bonds will particularly be important if you ever have to go to court for any reason. Surety bonds are available to cover court activities and to ensure that you are protected against possible losses due to a court proceeding. Some of the most common bonds to see here include cost bonds and indemnity to sheriff bonds. Such bonds are important for when you are in legal trouble and you need to show a sense of coverage for your work. The bond that you utilize will help you with keeping your expenses managed right. You will need to ensure you find the right bonds for your work needs so you can ensure your work will be easy to support. You can check with bondsexpress.com to find surety bonds that work well enough for your needs without being hard to follow. You can get a bond delivered to you in about 24 hours in some cases. 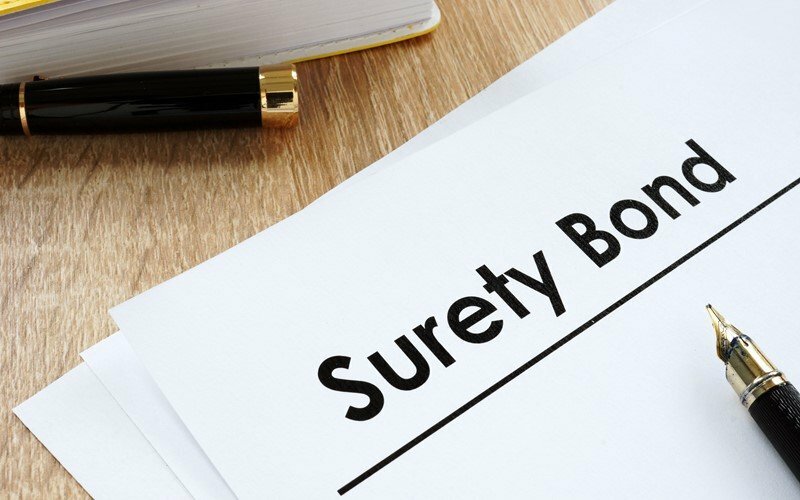 The important point about your surety bond is that it will provide you with the ability to operate accordingly and to make the most out of your work with others. This is to ensure your business is one that can be trusted.